Summer is here and all the flowers are coming to life! Its time to get to yard work which for some includes the garden. The garden can be a sanctuary for any plant lover. The great smells, sites, and sounds a garden produces can make you smile. A garden can be purely for flowers or can you have a garden with fresh fruits and vegetables. It really depends on what you want and how much time you want to put into the garden. In the summer months, you should water your garden daily to make sure everything is going smooth. When you are ready to get to work, you can draw out how you want your garden to be designed. There are many types of gardens which hold flowers, plants, and many different types of furniture which can give you a great garden area. Some home owners decided to put benches in their gardens so they can relax outside and watch the garden life go. Many animals are drawn to gardens because of the food. Its good to keep in mind that your garden needs to be guarded from these predators so your plants can grow without being eaten. 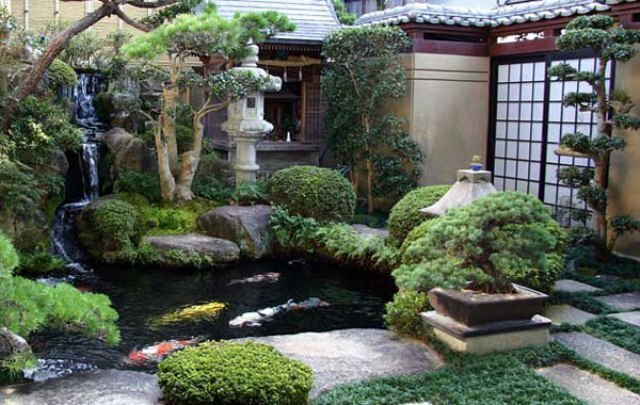 Check out our selection of 13 great garden design ideas in our gallery.